The Frenchman netted 51 goals in 94 appearances for Celtic before making the move to Ligue 1 with Lyon at the beginning of the current campaign. Since then, he has fared impressively with 17 goals across all competitions for Les Gones and his progress seems to have caught the attention of United scouts. According to The Mirror, the Red Devils are desperate to bolster their striking options ahead of next term and Dembele is one of those who is being closely tracked by the talent-spotters at the club. The same report indicates that the Mancunian giants could face direct competition from league rivals Arsenal, who are aiming to replace Danny Welbeck in their ranks ahead of next season. 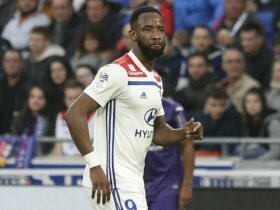 Dembele has yet to earn a senior cap with the France national side but he has impressed with the Under-21 side with 11 goals from 20 appearances to date.